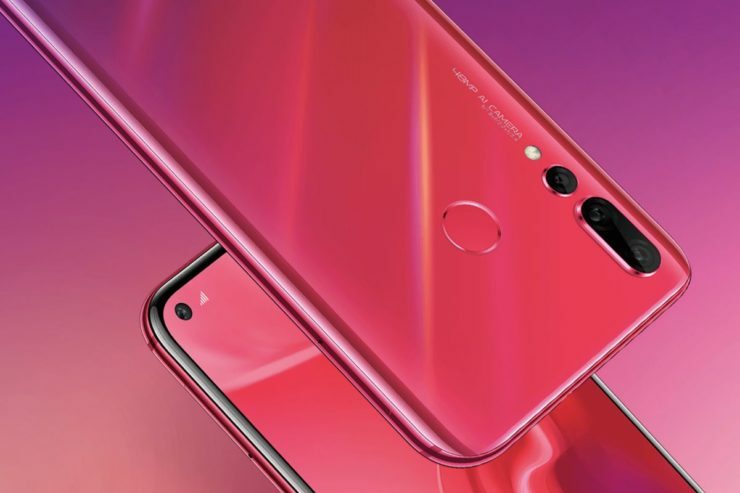 The Huawei Nova 4 is a phone that is generating much discussion, and most of that chat has to do with the distinctive “hole punch” cut-out on the front to house the 25 MP selfie camera. By dropping the traditional notch, Huawei has produced a mobile with an awesome edge-to-edge effect on its display. This is part of the new wave of “hole punch” phones, with many other big manufacturers planning to join the trend. Watch this space! What else can we expect from the Nova 4? The housing for the front camera is making headlines but let’s not overlook the stunning 48 MP triple rear camera, which could be the highest we’ve ever seen in a smartphone. Overall camera performance will reach Huawei’s ever-increasing standards, so there are lots to look forward to for snap-happy phone owners. The display on the Huawei Nova 4 is a 6.4-inch, 2310×1080 px IPS LCD display, while on the inside things will hum along smoothly with the HiSilicon Kirin 970 system-on-chip. This chipset boasts high-end AI performance. Everyday tasks will be easily handled by the Kirin 970, with extended battery life to be expected as well. For gamers, the Mali G72 GPU should provide an excellent all-round experience. All in all, the Nova 4 promises to be an innovative addition to the Huawei stable. It builds upon the success of the predecessor Nova 3. Just like that “hole punch” cut-out, it’s worth checking out! The standard edition is already available for sale in China and costs CNY 3,099. The more powerful high-end edition is CNY 300 more expensive than the standard-edition.